Republicans, blasting the proposal as overzealous when it comes to spending, have already shot down the 2017 budget. Though President Barack Obama's proposed 2017 budget died almost as fast as it arrived at Congress on Tuesday, the chief executive's final proposal included millions in healthcare spending to bolster quality programs, improve interoperability and fight rising pharmaceutical prices. The president proposed raising the Department of Health and Human Services budget to $1.1 trillion, which included across-the-board increases to support healthcare initiatives. For example, Obama's budget would have given the Office for the National Coordinator, which manages the government's health information technology programs, an extra $22 million in 2017 to support interoperability programs. "By combating information blocking, expanding transparency, developing a public‐private partnership between health IT stakeholders, and implementing governance activities that establish standards for health IT entities, ONC will work towards a fully‐integrated health IT infrastructure that protects and empowers patients," the document read. The proposal also would have given the ONC its highest budget bump in the past few years. The budget included $19 billion to support cybersecurity initiatives, and many of those would be tied to protecting healthcare data. The president's budget also offered to make it easier for states to expand Medicaid in hopes of courting those states that have refused expansion, most often on political grounds. The budget gave states three years of full federal support when it comes to costs tied to expansion. While Medicaid expansion is still a contentious issue among Republicans, a host of recent reports on hospital finances show a trend toward better cost control and lower amounts of bad debt in expansion states. Though the president's budget included a laundry list of support for programs established under the president's signature Affordable Care Act, Republicans in Congress have already made sure very little in this budget will actually pass. Members of the Joint Budget Committee this week said they would not give Obama's budget director Shaun Donovan the opportunity to testify about the proposed budget, though that hearing is a standard part of the process that hasn't changed since 1975. Republican leaders blasted the budget over spending increases, too. 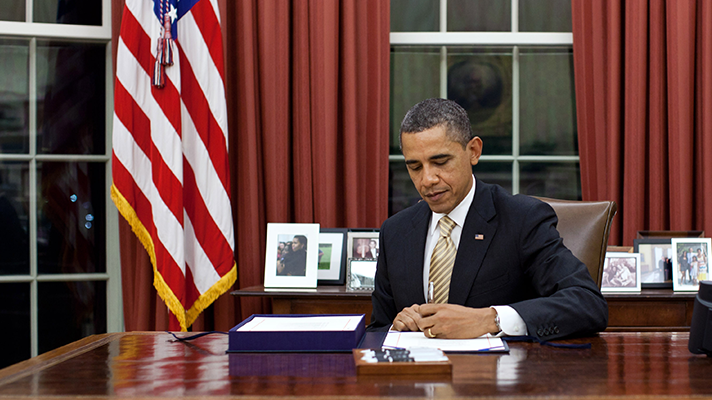 "Like every one of his previous budgets, President Obama's newest plan never balances. Ever. Like all of his previous proposals, it increases spending by trillions of dollars above what we already cannot afford and takes more money out of the pockets of hardworking taxpayers with no plan to address the key drivers of our debt," Committee Chairman Rep. Tom Price, R-Georgia, said in a statement. "Under the president's vision, what we spend on interest on our national debt by 2022 will surpass that which we spend to protect and defend our nation. This is the same approach we have seen time and time again from this administration that continues to lead America down the same path we have been on for the past seven years: one with fewer jobs, lower wages, less opportunity and less security." Obama's budget also included several funding increases to support programs tied to shifting healthcare to value-based payment models. That included a $24 million funding increase for the Agency for Healthcare Research and Quality, which supports most quality-improvement programs. "The Budget invests $9 million in a new AHRQ project to better coordinate care for patients with multiple chronic conditions by developing and piloting tools based on integrated care plans, a new model that has demonstrated potential to make treatment regimens more comprehensive, responsive, and easier to adopt," the budget read. As for pharmaceutical prices, a hot topic amid concerns over price gouging in the industry, the administration proposed several measures including giving HHS the power to mandate that drug companies disclose how they set drug prices.